Arcade and Party Rentals by GEMS, Bob's Sanitation Inc., Scotty's Potties and Pianist Michael Fox demonstrate their expertise on the largest party, wedding and event planning network, PartyPOP.com. PartyPOP.com features some of the most ambitious and sought after party, wedding and event professionals. PartyPOP.com recently made headlines by giving out free wedding invitations to any bride and groom in the United States, Canada and the United Kingdom. PartyPOP.com already features more than two million special event professionals and is expanding every day with vendors listing their businesses on the network. 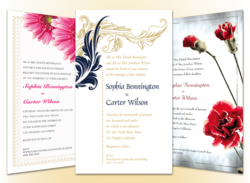 Many of the party planning and special events professionals who have partnered with PartyPOP.com are now able to offer potential clients the same free wedding invitations. PartyPOP.com features highly accomplished and professional companies with a proven track record of success and customer satisfaction. Some of these companies include Arcade and Party Rentals by GEMS, Bob’s Sanitation Services, Scotty's Potties and Pianist Michael Fox. Arcade and Party Rentals by GEMS is a Southern California family owned business based in Los Angeles. Since 1995 the company has specialized in sales, service or repair, and rentals for coin operated arcade games. Arcade & Party Rentals enjoys keeping customers' guests in play with a wide variety of entertainment rentals. Customers can rent or buy anything from pool tables to moon bounces. Pinball games, deluxe music games, and head-to-head driving games are some of the most popular selection; but this dynamic party & event company doesn't stop there. Arcade and Party Rentals also supplies an economical alternative to a DJ or live music by renting out a 50’s theme bubbler CD jukebox, or a new Touch Tunes digital jukebox containing over 2,000 titles. Also available are full service photo booths for a good time and lasting memories no matter what the occasion. Arcade and Party Rentals by GEMS can be found online at http://www.partypop.com/v/4117754/. Bob’s Sanitation Services has been servicing Southeast Michigan for over 50 years. The company provides services in locating tanks, pumping tanks, digging to uncover lids and repairing pipes to name a few. On the website, customers can find information on how to maintain and understand their septic. Since 1991, Bob's Sanitation Services has also owned and operated Scotty’s Potties Portable Restrooms. Scotty's has set the industry standard for portable restrooms in Southeast Michigan, providing portable restrooms for construction workers, special events, and for the physically challenged. Customers can also order onsite water systems to accommodate a crowd or work site of any size. For more detailed information visit Bob's Sanitation Inc. Scotty's Potties online at http://www.partypop.com/v/4346223. Pianist Michael Fox has been entertaining people for over 25 years with his unique style of piano music. Michael plays a variety of styles ranging from jazz to ballads, rock to ragtime, and Broadway to the old standards. He entertains at weddings, rehearsal dinners, ceremonies, corporate receptions and private parties in New York, New Jersey, Connecticut, Massachusetts and Rhode Island. Customers can choose from his song list or provide their own songs that Michael is willing to learn. Michael Fox can be contacted online at http://www.partypop.com/v/4091673/.